If you’ve been following Boston On Budget for awhile, you may know that I love saving money AND shopping in my pajamas to find the best deals. Making a list is a great and easy way to save money on holiday gifts and more. It can be easy to overspend during the holidays, but writing down everything you need to buy and everything you bought is a great way to keep track of your budget. I like to make a list of everyone I need to buy for, what my budget is, and what gift ideas they make like. I also write down what promo codes, coupons, gift cards, deals, etc. I may have at different stores so I have a visual of deals and gift ideas on the same spreadsheet. 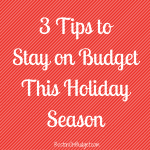 Making a list and going back to your list throughout the holiday season to make sure your on track with spending is a great way to save money this holiday season. If you have a few particular items you need to buy soon, stalk your items first and do some research. I like to buy items at low prices (duh, who doesn’t?) and will check multiple sites to see what the going price is if I’m unfamiliar. I’ll sometimes google the particular item and put “hot price” or “lowest price ever” to see if any deal sites covered the items and what the price may be for that low target price. I also like to leave a lot of items in the Amazon cart if I’m indecisive, and Amazon will let me know if the item changed in price. If you are on Pinterest, you can also pin buyable pins, and you’ll be alerted when the price drops on the item. Just make sure the pin is buyable and has a price next to it. Researching items and figuring out a decent price beforehand is a smart and easy way to save some money. Getting rewarded for your holiday spending is a great perk. If you are doing a lot of online shopping you may want to consider shopping through a cashback site like Ebates. If you are not familiar with cashback sites, they pay you a small % back (usually between 3-5%, but varies) of your purchase for making a purchase through their links. It’s really simple to use and very simple to get extra money on your online purchase. You simply go to Ebates.com, or a similar site, enter the store you want to shop at in the search bar, click the shop now button and wait to be redirected to the site. That’s it. Really. After you make a purchase, you’ll receive an e-mail from the cashback site letting you know you know the amount in your account. Most sites pay out quarterly, but exact payment will depend on the exact source you use. Ebates is free and easy to use, you just need to create a free account. Amazon only participates in select categories for cashback sites, so Amazon Smile is a great alternative if you want to give a little money back to your favorite charities this holiday season. If you are heading to the mall, you may want to download the Shopkick app, as you get points for checking into stores and doing missions. It’s a quick and easy way to get rewarded while out shopping, and you can put the points towards gift cards to your favorite stores. 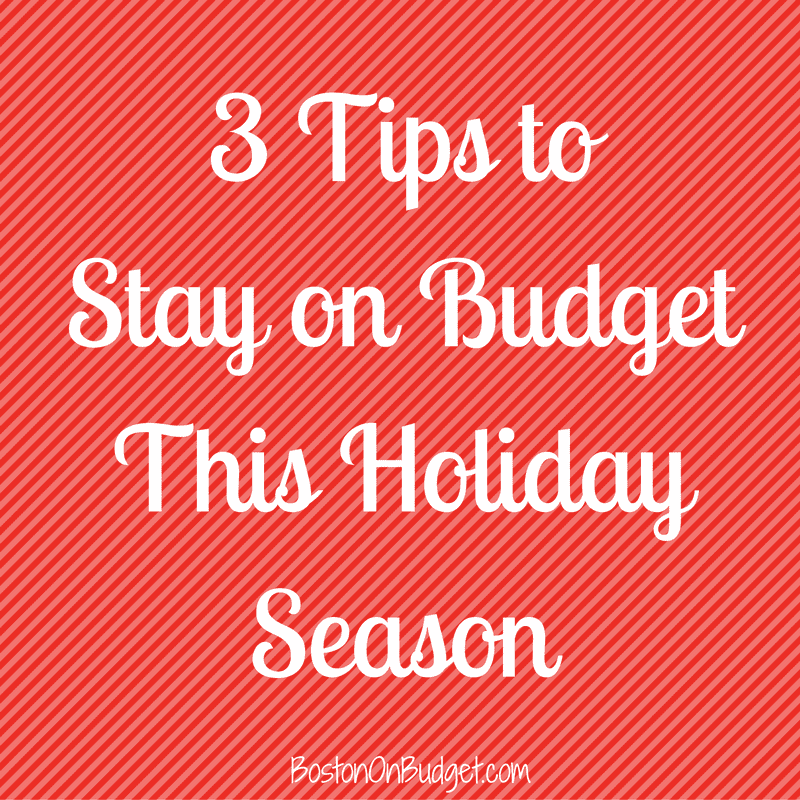 There’s so many different ways to stay on budget this holiday season. What are your favorite ways to do so? *This post contains affiliate links. Please see my disclosure policy if you have any questions.